At OASIS, our commodity brokers work with individual and institutional investors to define their ideal risk/reward profile and present clients to CTAs with the most potential to achieve their unique investment goals. By opening a managed futures account at OASIS, you partner with the oldest and largest independent futures commission merchant in the world with over $4 billion in client assets. Founded in 1914, RJ O’Brien has built its reputation on value-added client services and risk management to ensure the safety of its customer assets. When added to a portfolio of traditional assets, managed futures can enhance return and lower overall risk through their positive diversification effects. Since they are actively managed by a professional with the opportunity to profit in different market conditions, the correlation between the stock market and CTA returns is near zero. 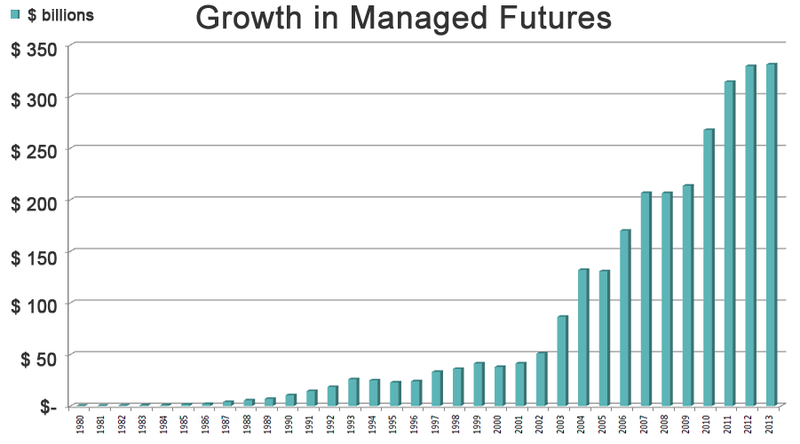 Managed futures also allow investors to leverage a CTA’s experience, expertise, and resources in order to outperform traditional assets while limiting draw downs through active risk management. The lower probability of serious damage in systemic crises and smoother positive returns are particularly appealing characteristics to institutional money managers and have contributed to the growing popularity of managed futures over the past decade.